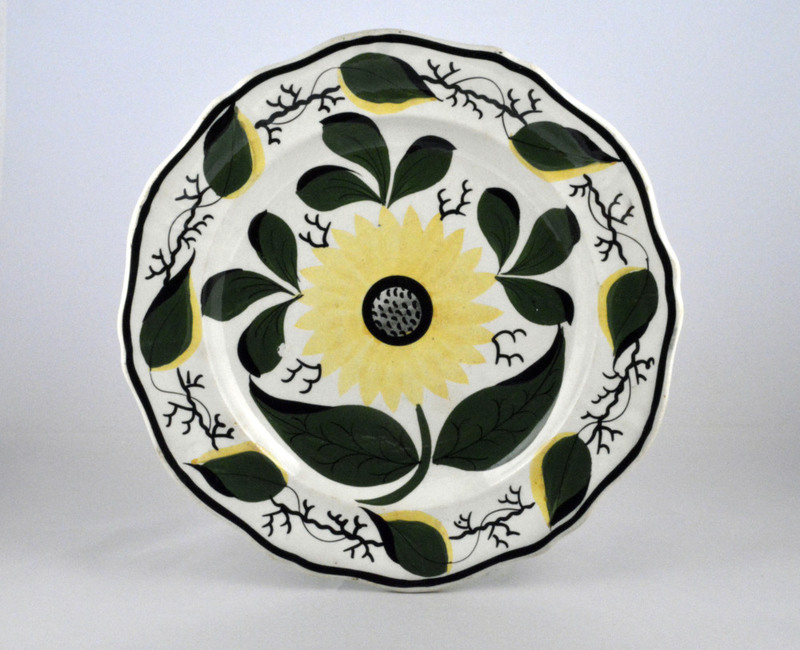 The small pearlware plate is charmingly painted with a central large sunflower surrounded by its large green leaves and stems in the central well and the rim. Marks: script w and impressed 13. 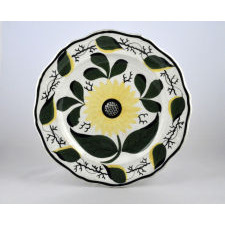 Measurements 7 1/2 inch diameter x 1 inch in height.